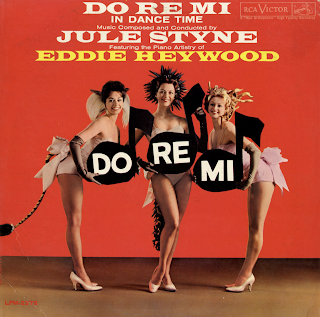 Eddie Heywood appears courtesy of Mercury Record Corp.
Mr. Styne's quicksilver curiosity drew him to Hollywood where, as vocal coach and arranger, he helped launch the careers of Alice Faye, Tony Martin, Doris Day and many others. Dissatisfied with the songs used during this period, he began dabbling in composition once more and with skyrocket brilliance catapulted him himself overnight into the top echelon of ASCAP. You could always hear the latest Jule Styne song by tuning in on the "Hit Parade." Triump followed triumph until he regarded his success as excess. The creative instinct in the man was restless, unfulfilled. So to Broadway – and almost overnight the die was cast; he became not only the composer of long-run smash musicals, but also a remarkably successful producer. As a composer, some of his hits were "High Button Shoes," "Gentleman Prefer Blondes," "Bells Are Ringing" and "Gypsy"; and as a producer, a brilliant revival of "Pal Joey" (conceded to be far better than the original production), "Mr. Wonderful," "Say Darling" and "Will Success Spoil Rock Hunter?". And still Jule Styne remains dissatisfied; therefore this album. Also from the back cover: For the arrangements, he (Styne) has chosen Henri Rene who for several years was A&R man for RCA Victor records on the west coast. Mr. Rene was selected not only for his obvious talents as the guiding force behind so many memorable records of the past, but also for his personal understanding of Mr. Styne's creativity, musical temperament and purposes. 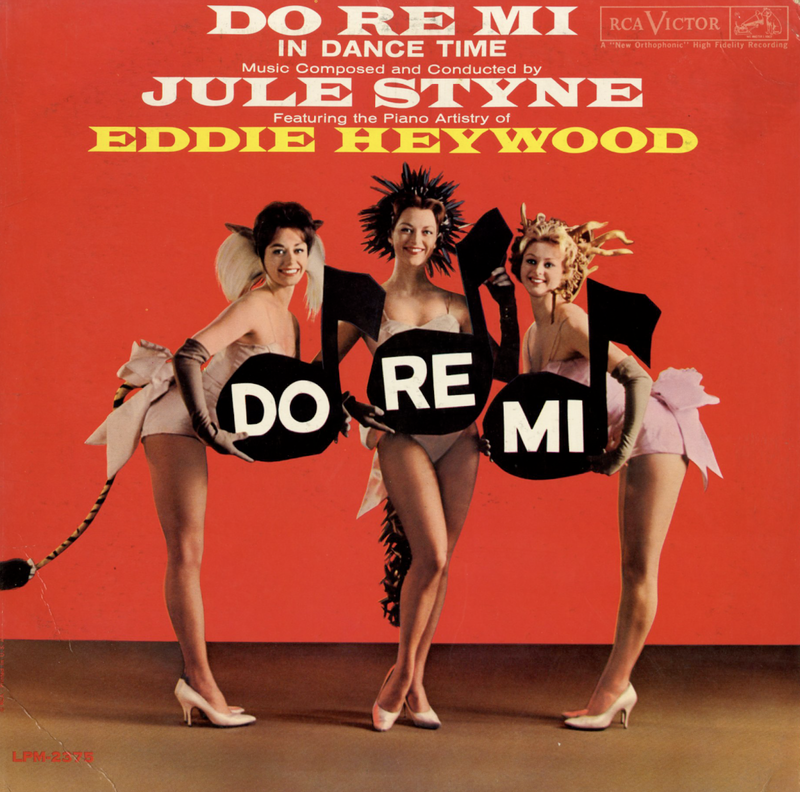 For piano soloist, Mr. Styne has chosen Eddie Heywood, surely on of the most articulate and inventive artists of modern jazz.